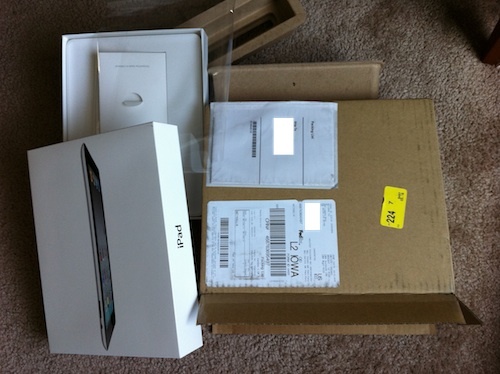 Yesterday, we noted that the first online iPad 2 orders in the U.S. had begun arriving on Monday, led by shipments from AT&T. By yesterday afternoon, the first trickle of orders made through Apple began coming through, and the pace seems to be quickening today with a number of readers reporting (1, 2, 3, 4, 5) that their orders have either already arrived today or are listed as being out for delivery through FedEx. Not all customers in the initial wave are happy, however, as many of them are still waiting for their orders to ship more than five days after placing orders within minutes of the Apple online store opening for iPad 2 sales. 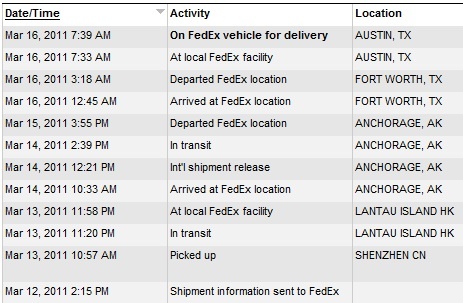 MacRumors forum members are tracking shipments updates (or lack thereof) in a thread in our iPad forum. Meanwhile, a new report from AppleInsider confirms rumblings we've been hearing that Apple retail stores have adjusted their inventory management practices with the iPad 2, choosing to hold new shipments received during the business day until the following day. The change reduces stress on Apple's employees and systems that had previously rushed to get high-demand items onto the sales floor as soon as possible after arrival. 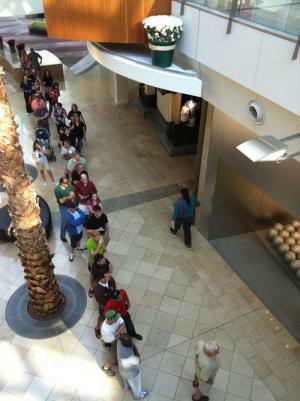 With the new process, customers may have a better chance to plan for availability by knowing to arrive in time for store opening and even allowing some stores to open early to distribute their iPad 2 supplies and disperse lines before the regular flow of non-iPad customers arrive each day. In addition, the report notes that Apple has changed its process for issuing web order numbers, moving from a sequential system to a randomized one. The sequential ordering system had been used in the past to estimate the early sales rate for the first-generation iPad last year.